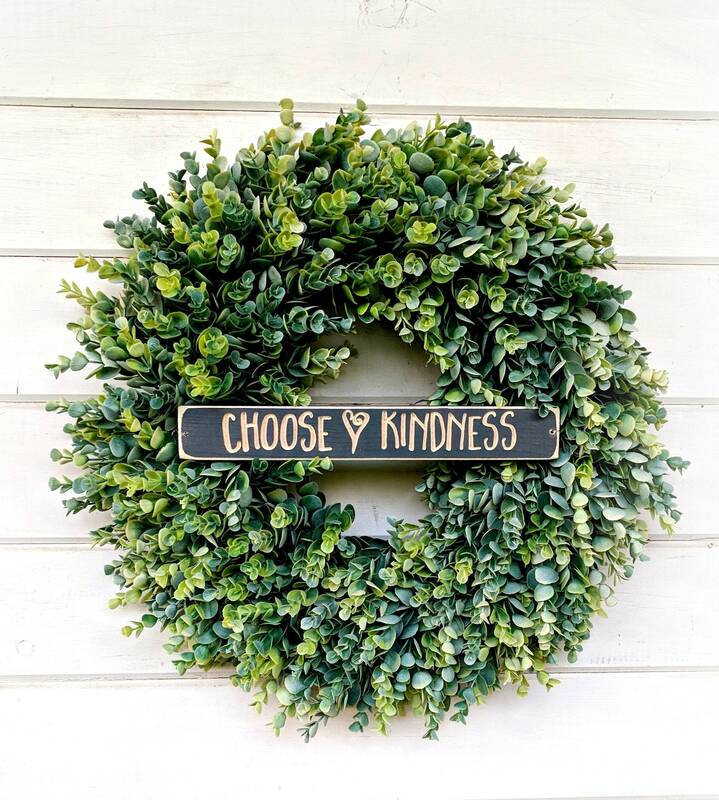 This Frosted Eucalyptus Wreath is one of my favorites!!! I LOVE our NEW Inspirational Signs! 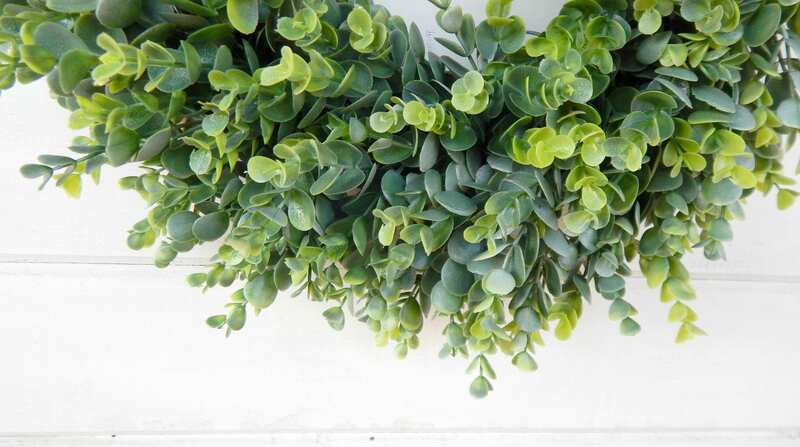 This Scented Wreath is made on a grapevine base with Artificial Frosted Eucalyptus. 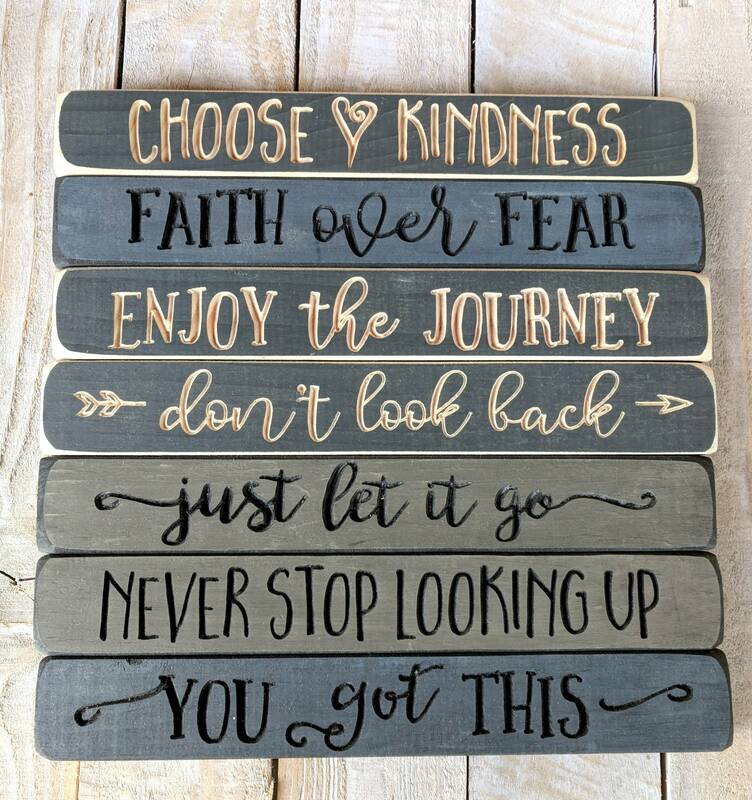 Choose one of our Wooden Signs to make it perfect! 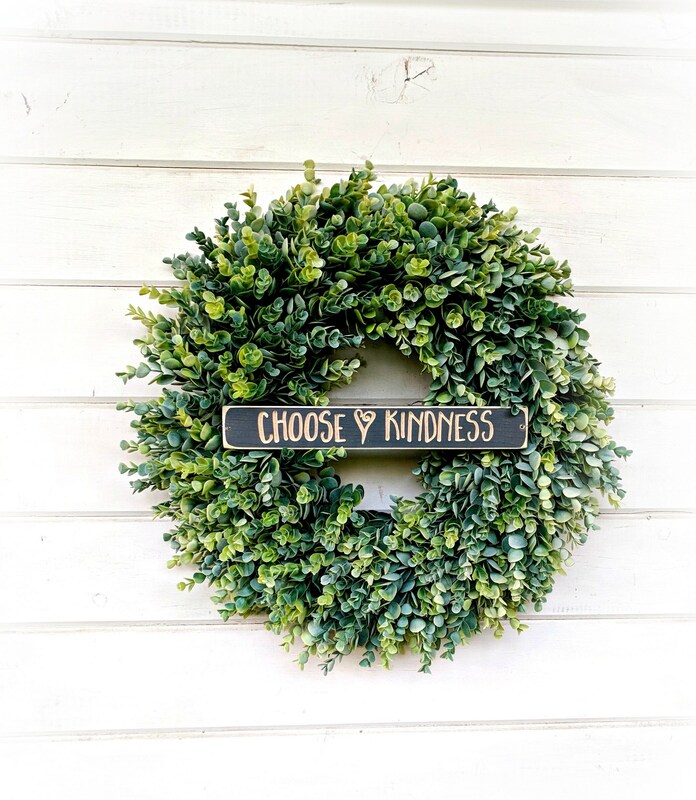 "Choose Kindness".....Perfect for your front door or your home decor.